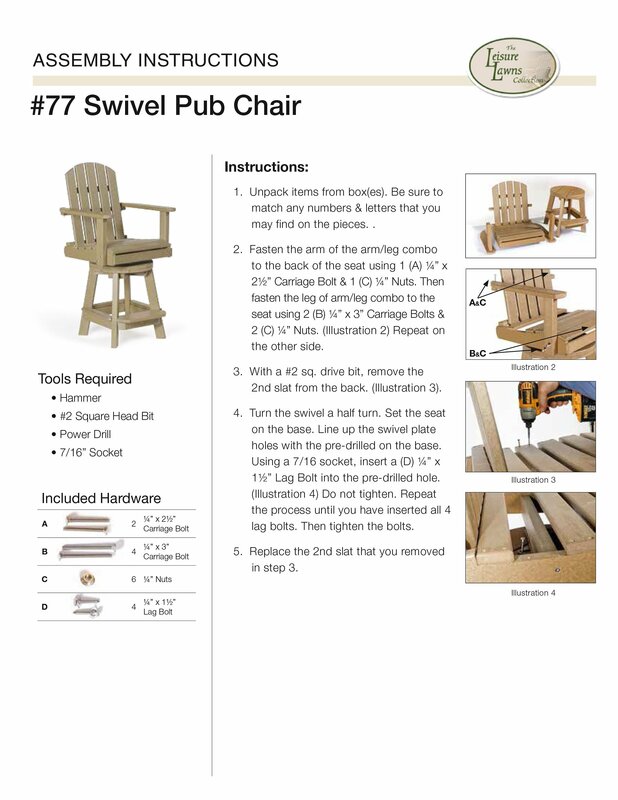 Our Amish Outdoor Recycled Poly Swivel Pub Chair is the perfect compliment to your pub table. This eye-catching pub chair is made in the USA and looks great with our poly bistro table. This chair is built by skilled Amish woodworkers who make quality furniture, no matter what material they use. 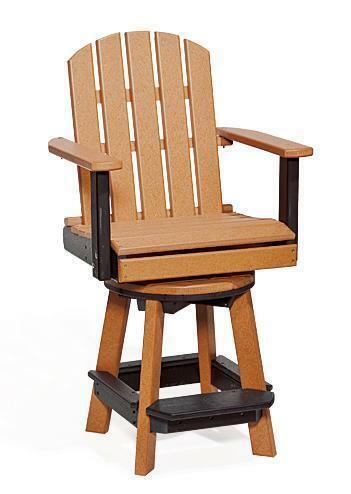 Enjoy years of carefree comfort with the Amish Recycled Poly Lumber Swivel Pub Chair. We live in New England and enjoy winter outdoors by our fire pit as well as skating on the pond, so chairs that are durable are essential! We are very happy with this purchase, and highly recommend this company.